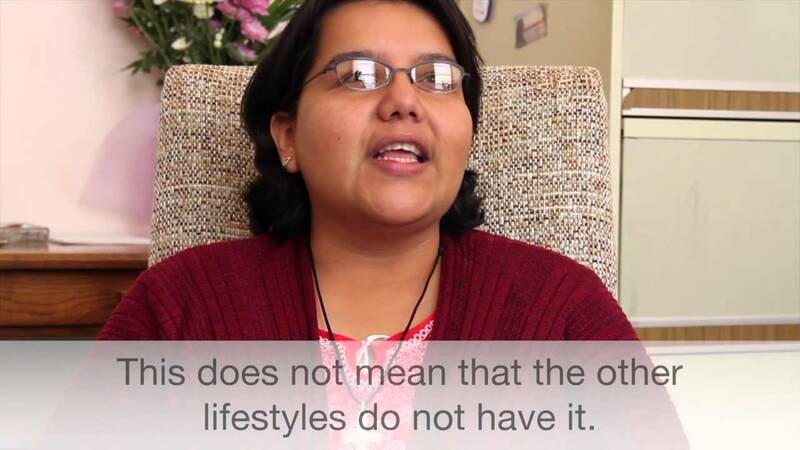 and Cruz Idalia Nieto Molina, CND. 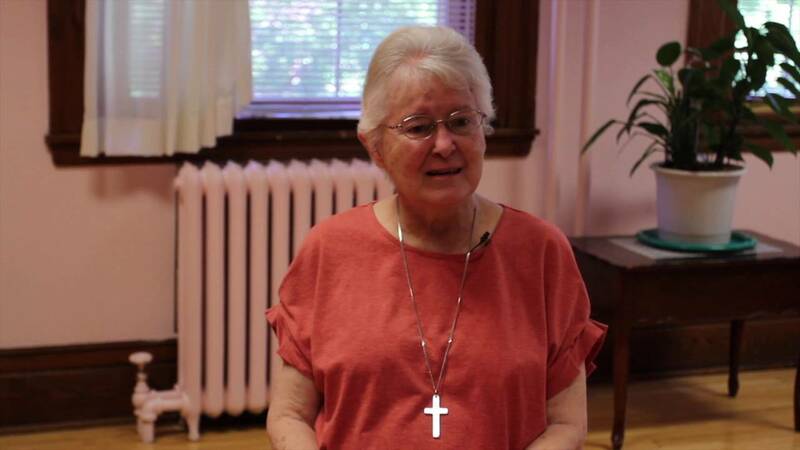 Sister Regina had a strong desire to be like Mary; she found Sisters who opted to live as Mary did on Earth. 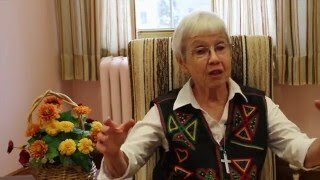 Sister Catherine Molloy, CND, missionary in Cameroon, on the multiple aspects of mission: social justice, access to water, education... life! 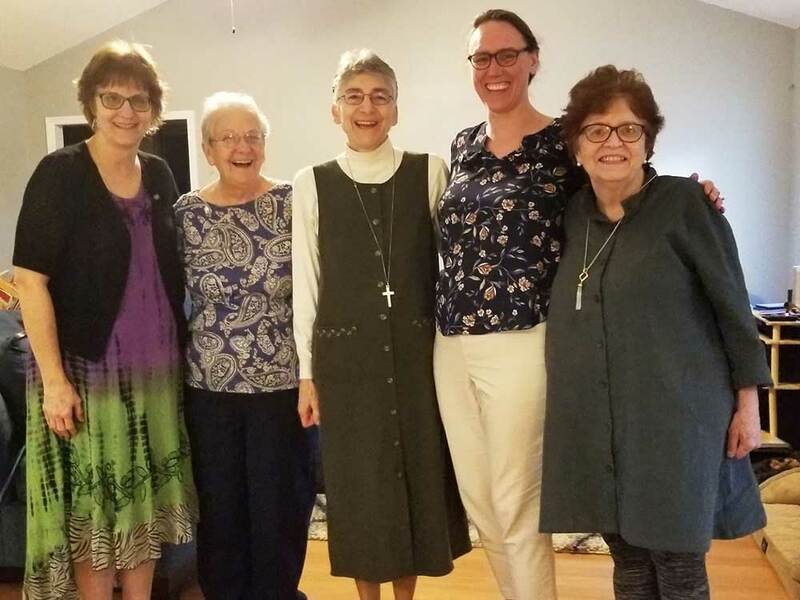 Sister Libby Osgood, novice, brings her own gifts to religious life, following the footsteps of the "fearless" Marguerite Bourgeoys, learning to be present, meeting the needs... which can include fixing the kitchen sink! 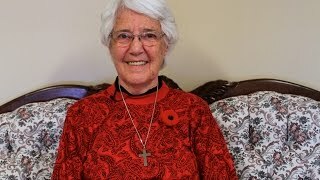 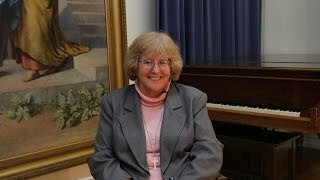 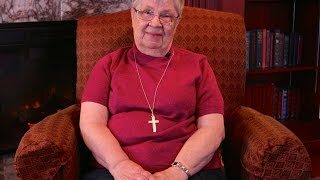 Sister Patricia McCarthy, CND, acquired a taste for social justice at a young age and taught traumatized children for years, before going on the road advocating peace and non-violence. 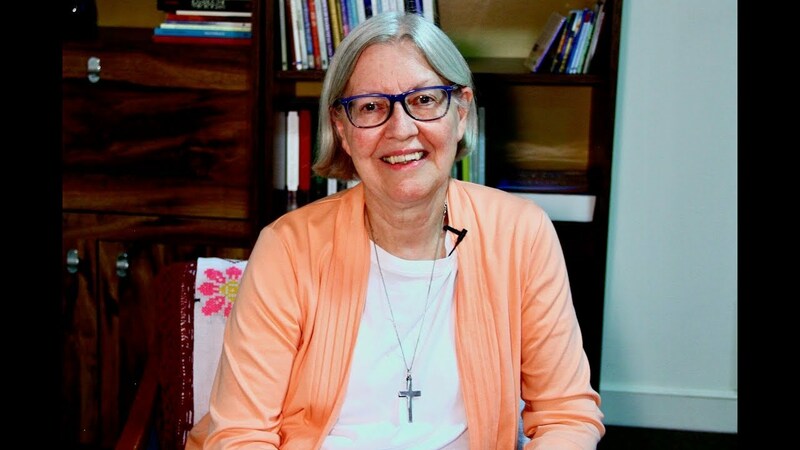 She is now back in classroom, sharing her love of God and God's love for His children. 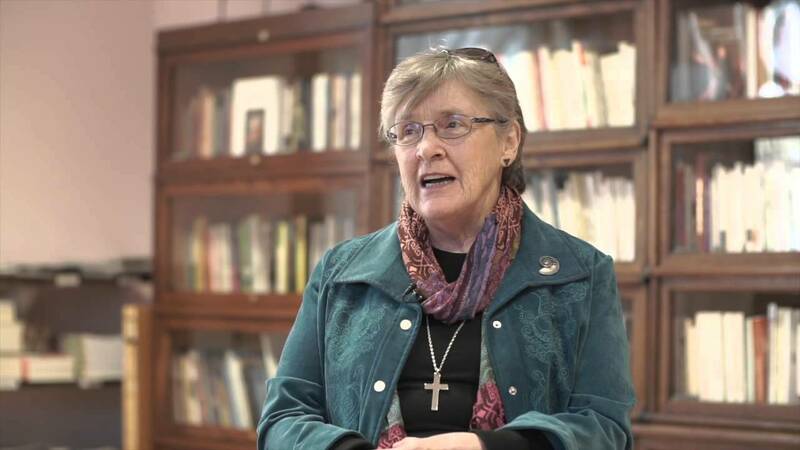 Sister Rebecca McKenna, CND, talks about "The Small Plot" land project and its four foci: contemplation, working the land, education and, environmental advocacy. 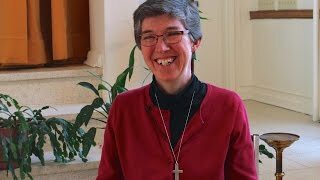 Sister Jewel Renna, CND, explains we are all called to a special relationship with God - not just vowed religious but the laity, too! She also reminds us that marriage is a beautiful vocation. 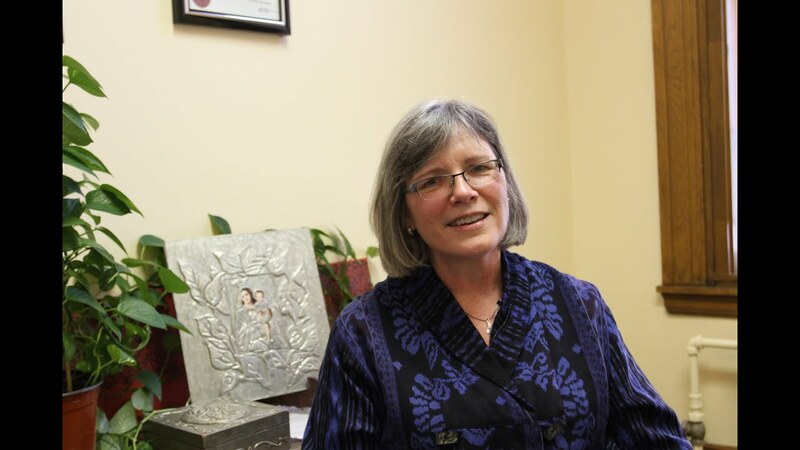 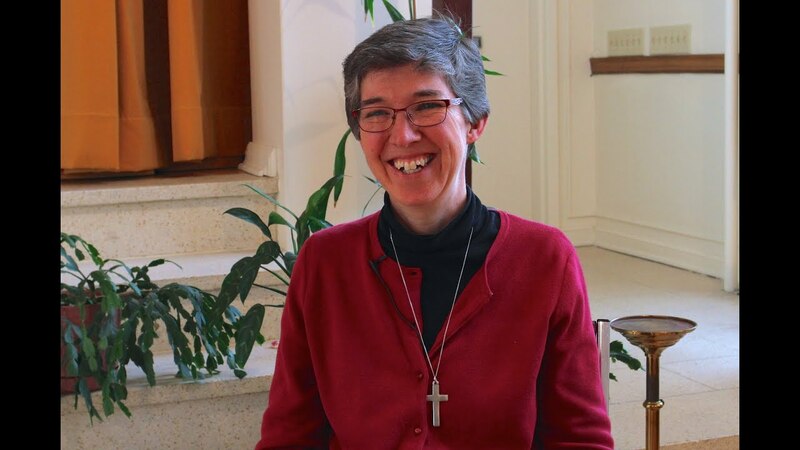 The path to a religious vocation can take many different turns: Sister Karen Kelly, CND, first obtained a masters in physics before saying "yes" to the "Physicist Extraordinaire". At the age of 93, Sister Madelyn Brennan moves back to Canada after 63 years of mission in Japan. Sister Catherine Smith was a teacher, a librarian, a parish assistant... Like Marguerite Bourgeoys, she likes going out to people! 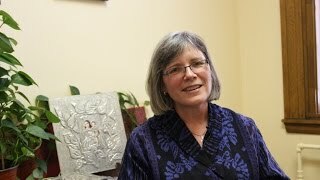 Sister Susan Kidd, CND, describes how her role at the UPEI Chaplaincy Centre is about Visitation, and the charism of Marguerite Bourgeoys. Sister Eleanor McCloskey, CND, has always loved to learn and she shares her many passion with young and old! 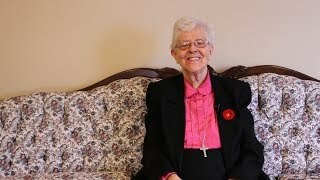 Sister Leona Smith, CND, tells us how the mission of the Cancer Centre at Holy Redeemer Convent pursues Marguerite Bourgeoys’s by “Going to those in need”. 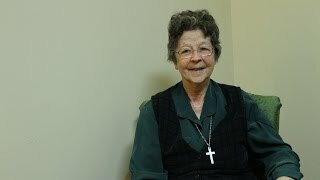 Sister Maureen Lamarche, CND, has been in Japan for the past 46 years. She talks about the Congregation history in the land of the Land of the Rising Sun, her mission and her vocation. Sister Marilyn von Zuben, CND, came back to Canada in 2010 after many years of mission in Cameroon; her mission life continues as she serves with refugees and women who are experiencing difficulties. 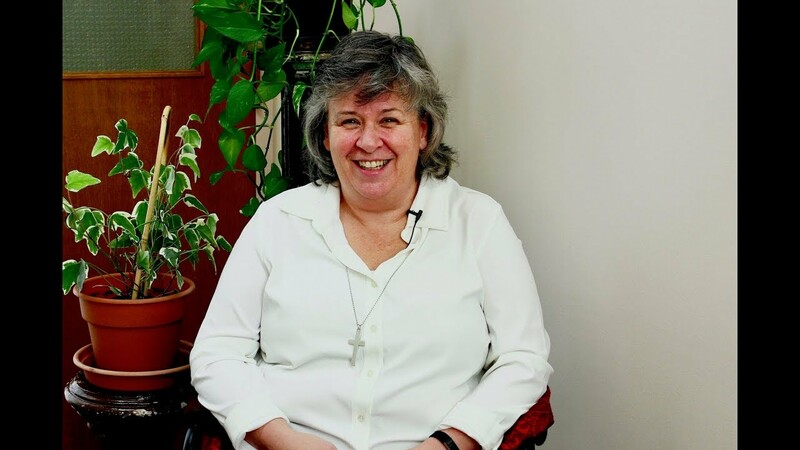 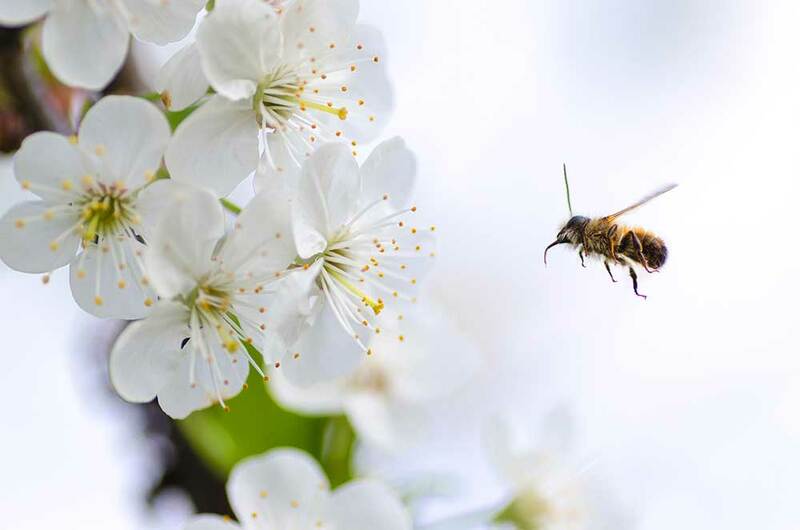 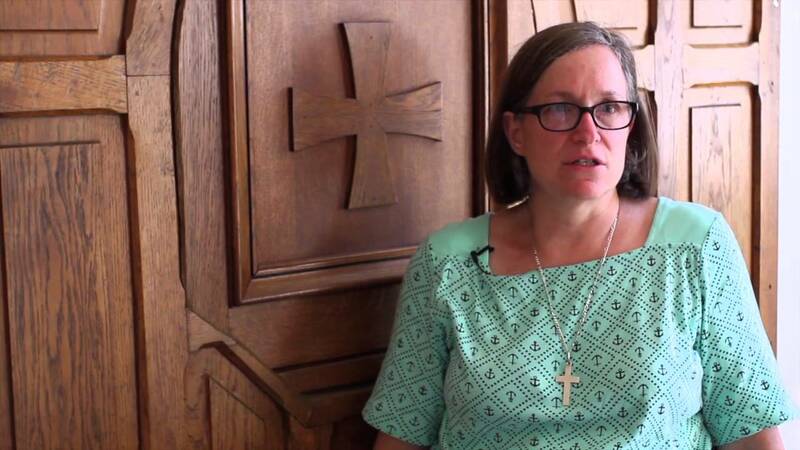 Appalachian Faith and Ecology Center Director Sister Jaculyn Hanrahan discusses the link between Catholic faith and ecology. 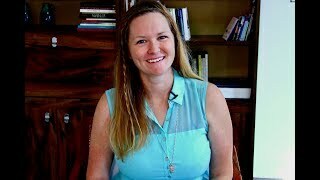 She introduces us to some of the social justice issues faced by the people of the area and reads from the "People's Pastoral of the Catholic Committee of Appalachia". 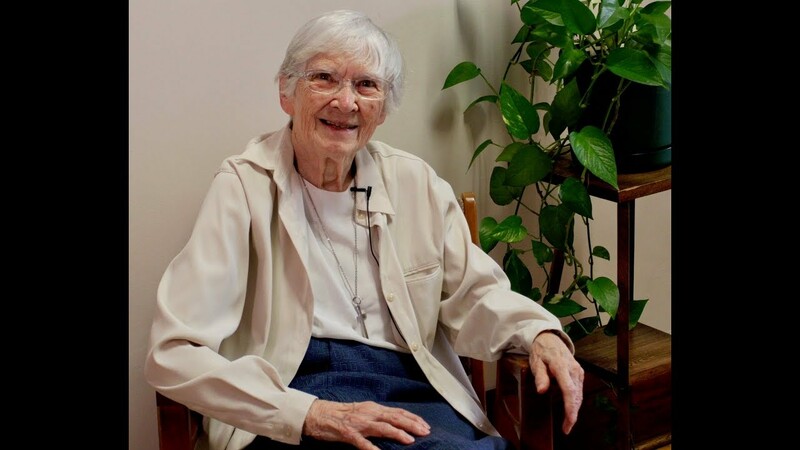 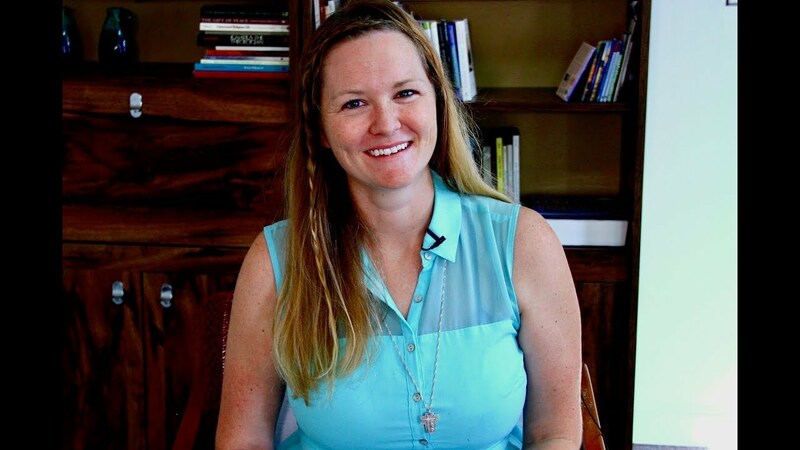 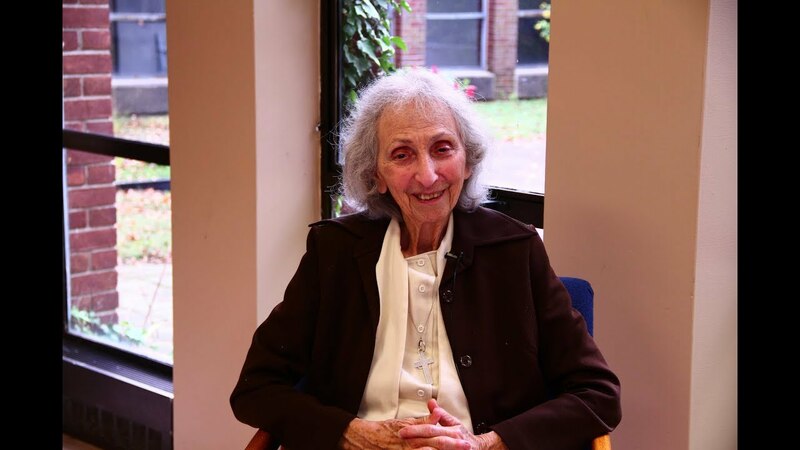 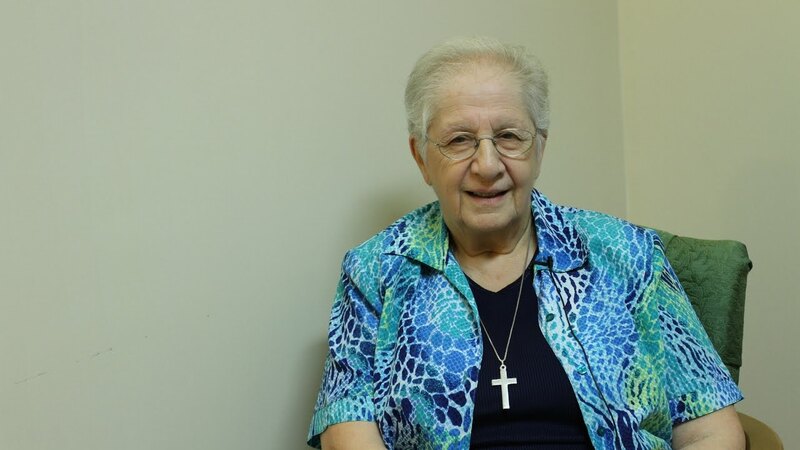 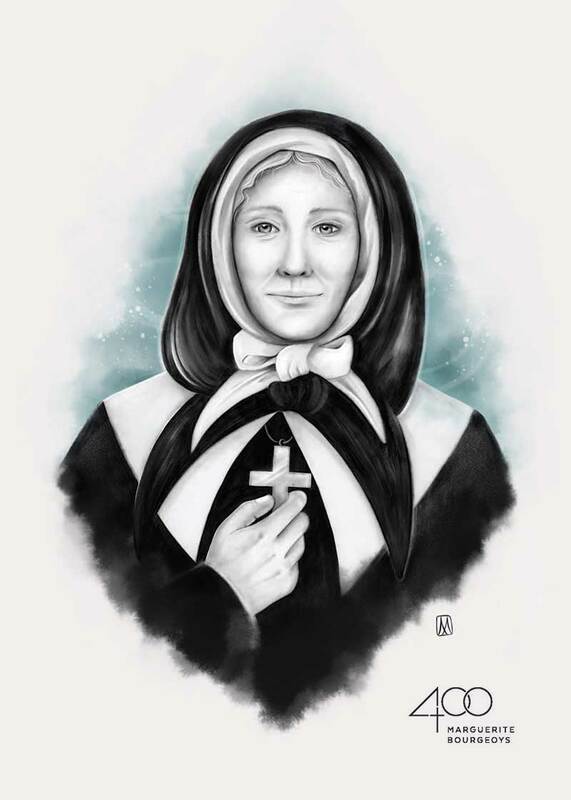 As a teenager and later, as a young adult, Sister Maco found she connected with Marguerite Bourgeoys, sharing a desire to care for families and a compassionate heart. Sister Réjeanne Bourque,, CND, taught and was very active in parish ministry for many years; she remains engaged and involved, teaching, caring, being a loving presence. 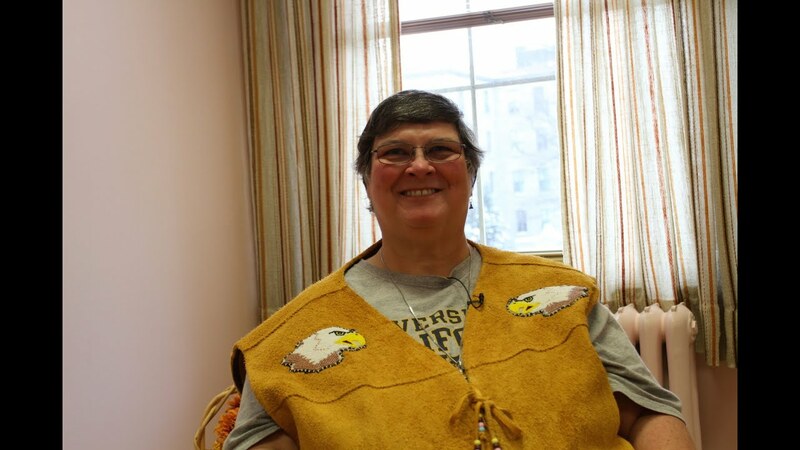 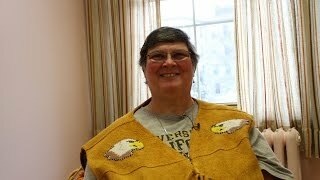 For the past 20 years Sister Shelley Grant has lived and worked with the people of the First Nations. 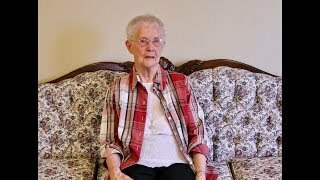 She talks about her mission and her great love for the people. 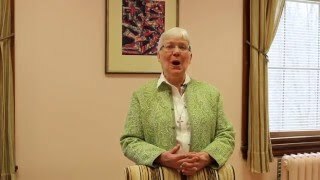 Sister Kathleen Duffin speaks proudly of her Irish heritage and sings for us! 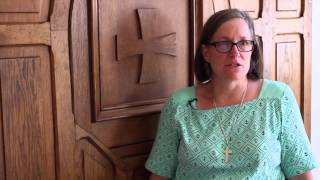 A representative for the Congregation of Notre-Dame at the United Nations Sr Stacy Hanrahan discusses her ministry. 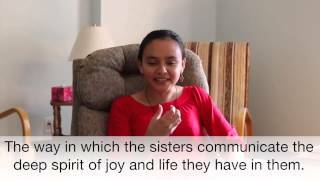 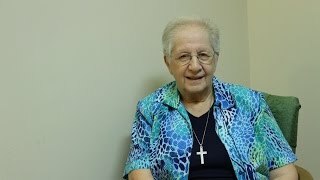 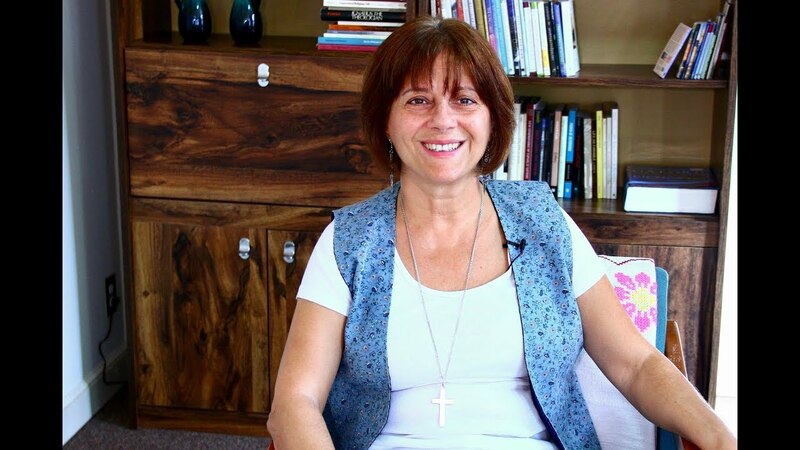 Sister Claudia on consecrated life (Spanish with English Subtitles). 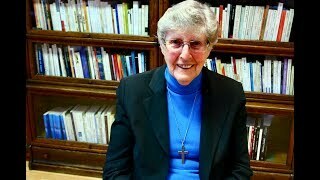 Sister Bernadette Gallant, CND, came to parish ministry at an exciting time - right after Vatican II. 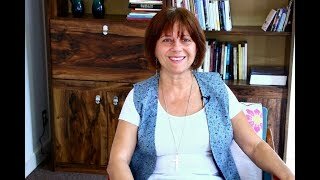 She speaks of "walking in the presence of God" with a compassionate heart. 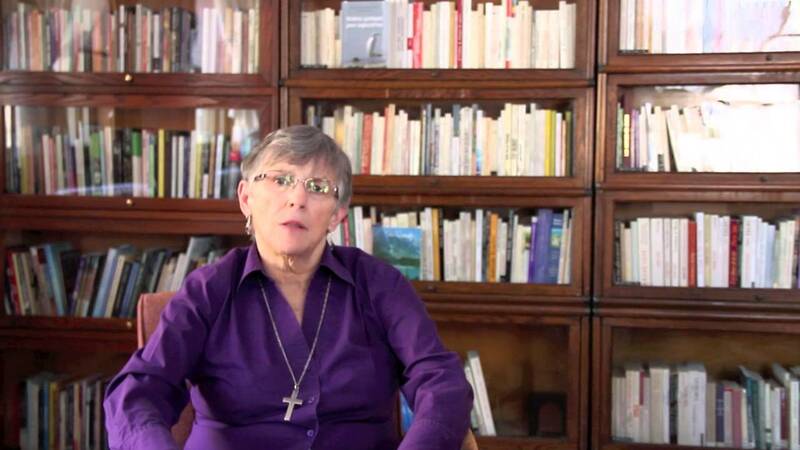 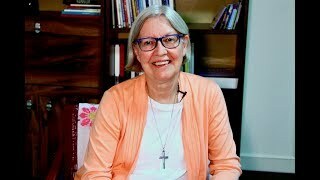 Sister Simone Abbass, CND, is the local leader of a Congrégation de Notre-Dame community in Sydney. From her teaching days to her current ministry in leadership, her relationship to Marguerite Bourgeoys has evolved. 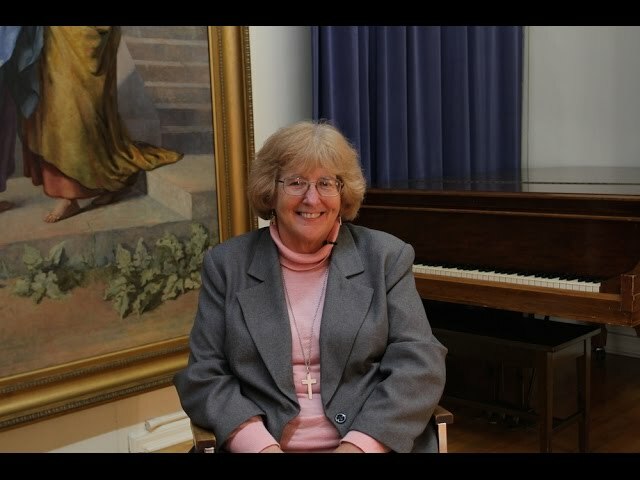 Sister Janet Lawrence, CND, on Internationality and coming to religious life from and American background. Sister Peggy Doyle, CND, reveals there is no straight path to a religious vocation... but there are steps in discerning whether this is the right life choice for you. 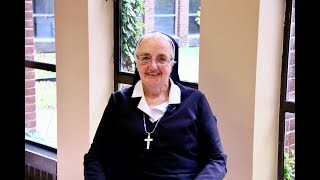 How did you find out about your own vocation? 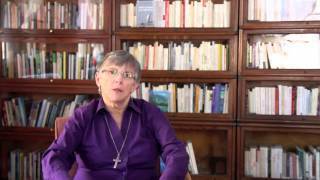 Sister Lorraine Costello, CND, talks about finding her own vocation. 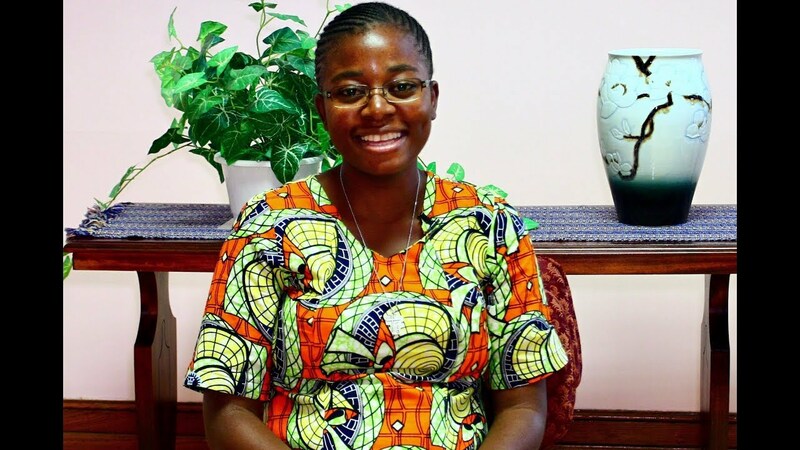 through prayer, work and community.